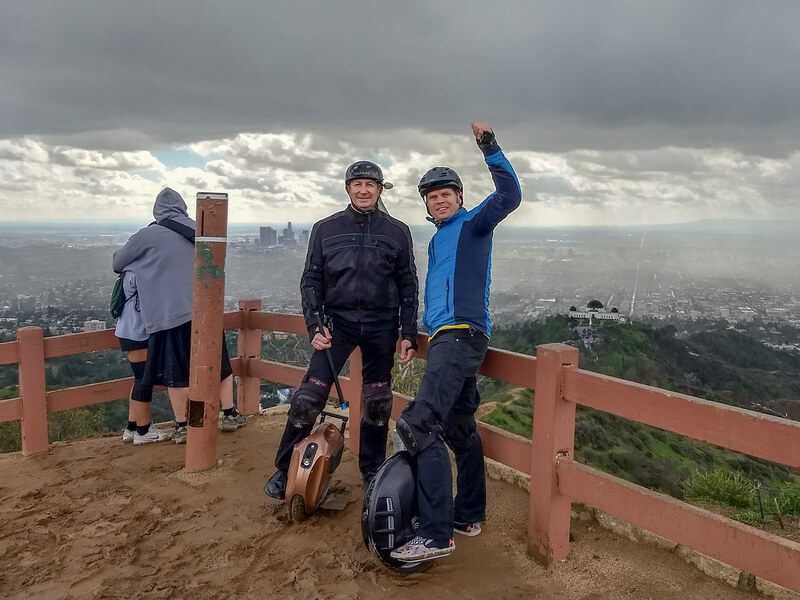 I'm hosting @Sam Clegg for a short ride around Griffith Park. He's visiting from San Francisco, attending the big ride on Sunday. Thought we'd get a little riding in on Saturday Morning. We'll be meeting here at ~10am. 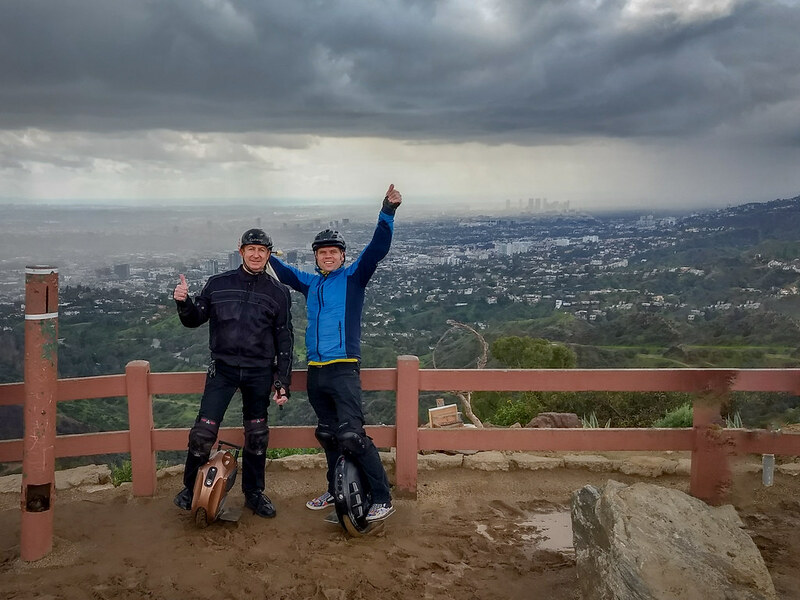 @csmyers @noisycarlos @Ando Melkonyan @YoshiSkySun @n2eus @maltocs @1Wheeler @Rama Douglas @Nick McCutcheon @Jrkline "Wheel Whisperer"
Wish I could go today and tomorrow but I dislocated my thumb a couple days ago. They told me to keep off the wheel for 2 weeks. Hope you're having a blast! @Sam Clegg was the only one to show up. We had a great ride all over the park. Highest peak in the park. 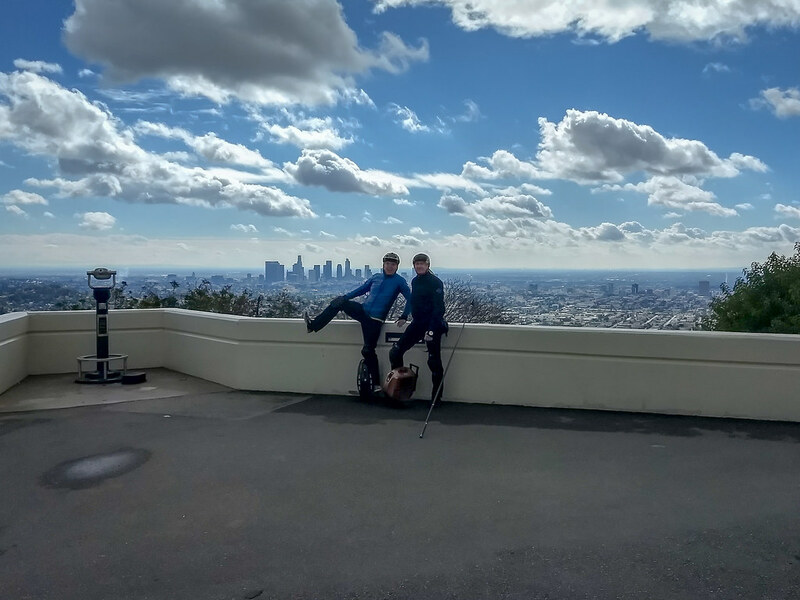 The Griffith Observatory is to the right and the Los Angeles skyline is behind me. Great one see you tomorrow hopefully! I'll be there, but may not be able to ride. I just can't ride if it's raining - I have zero clothes for the rain so I would be soaked and miserable. I'm hoping it won't rain, but right now the forecast says that the rain starts at 10am and will get heavy as the day proceeds. Real bummer! looks like a lot of mud on the ground! I hate riding in mud! I would have loved to join you guys today but I missed the invite. I've been off the forum lately concentrating on family life. I need to figure out how to get EMAIL notifications when my name is mentioned directly so I won't miss these invites. Keep making videos, that's one of my primary means of learning about what's going on in the EUC community nowadays. There was a a lot of mud, but it was not unbearable. We actually had a lot of fun sliding around and never came off the wheels. I did shoot some video of the ride too. There is no way to receive e-mail notifications, unfortunately. This was a hastily put together ride (< 1-day). Surely with the weather being THAT BAD, the mud would have frozen over?? ?